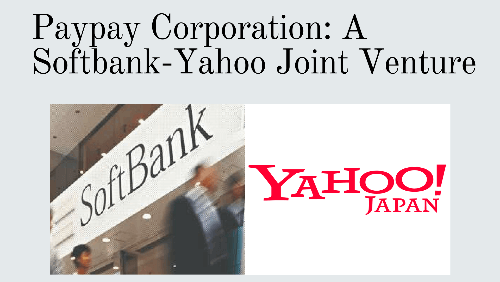 In Jul 2018, Softbank and Yahoo Japan jointly announced the Paypay Corporation to be launched in autumn 2018. Paypay is a Barcode (QR Code) based smartphone payment service. Cash dominates the payment practice in Japan with a cashless payment ratio of 20%. To increase this ratio to 40% by 2025, Japanese Government is taking various measures. The launch of Paypay Corporation will help the Government achieve this goal. Paytm, a digital payments platform, already holds expertise in mobile payments with QR Codes. Paypay will use Paytm’s expertise for payments. Paypay, Paytm, and Yahoo Japan will increase the number of users by including customer base of Softbank and Yahoo Wallet. The latter comprises approximately 40 million accounts. They aim to make Paypay the top provider of smartphone payment services. So Yahoo Japan will soon end the Yahoo wallet’s current smartphone settlement function. The date of termination has not been decided yet. Note that users will need to install Paypay app on their smartphones. Also, Paypay platform will integrate with the Yahoo Japan’s ID. It will give all the existing Yahoo wallet users an option to use Paypay functions within Yahoo Japan’s app itself. Over the time, as Paypay will grow, users will be able to use the service at a wider range of stores across the nation.